The Trump administration imposed sanctions on the Chinese military on Sep. 20 for buying fighter jets and missile systems from Russia, in breach of a sweeping U.S. sanctions law punishing Moscow for meddling in the 2016 U.S. election. They block the Chinese agency, and Li, from applying for export licenses and participating in the U.S. financial system. All Li’s assets in the U.S. have been frozen, as well as his U.S. visa. President Donald Trump on Sep. 25 issued an executive order intended to facilitate implementation of the sanctions. The Chinese Communist Party (CCP) regime reacted strongly to the sanction, expressing anger and demanding they be withdrawn. Xie Tian, a professor at the Aiken School of Business at the University of South Carolina, told the Chinese-language Epoch Times on Sep. 25 that the EED is responsible for purchasing weapons and military equipment. 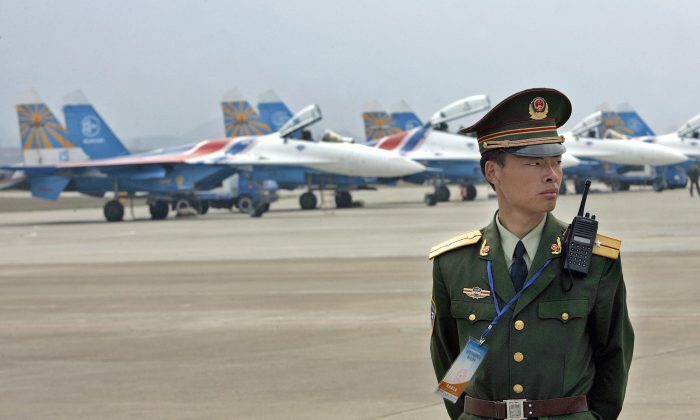 The Chinese regime imports equipment from Russia and exports armaments to third world countries. These capital flows require international financial institutions to function. According to Xie, if the EED is banned from trading with any U.S.-related financial institution, it would be difficult to do business with any other country in the world apart from Russia. Heng He, an expert in China issues, told the Chinese-language Epoch Times on Sept. 26 that in his view, the sanctions are mainly a result of the CCP regime’s failure to abide by standard international practices. On Sept. 23, Tang Jingyuan, a U.S.-based commentator on Chinese current affairs, told the New York-based NTD Television that the shock that comes with the military sanction is much greater than that of the increasing U.S. tariffs on Chinese exports. Tang believes that however devastating the tariffs may be, the Chinese regime can always transmit the costs of the trade war to the Chinese populace. However, much of the wealth owned by top Party officials is stored in the United States and other Western countries. These officials, Tang said, are most afraid of having their assets frozen and not being able to get visas to travel abroad. Many of them are “naked officials” whose children and spouses have emigrated, meaning that sanctions directed against them personally would cut them off from their wealth and their families. Reuters, Epoch Times staff members Lin Yan and Luo Ya, and NTD Television contributed to this report.